Dental implants allow you to invest in your oral health and your quality of life with a long-term solution. While you have heard about their benefits, we understand you still have plenty of questions about the treatment. We have the answers you need to make the right choice for your smile. A CT scan is used to pinpoint the precise location for the placement of your implant post, which requires oral surgery. While under sedation or anesthesia, your gum tissue is opened to expose your jawbone. A small hole is drilled into it to insert the post. Your gum tissue is sutured closed and the healing process begins. How long does it take for my jawbone to heal? 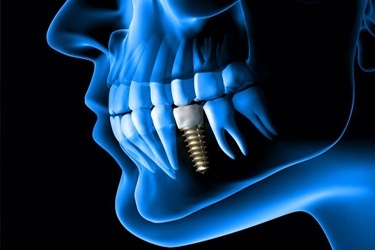 The implant post acts as a new root which stimulates your jawbone to encourage new growth. This is a gradual process that improves the density of your jaw while also allowing the post to fuse with your bone. It takes several weeks for your jawbone to heal, but it is necessary to ensure the long-term success of your new smile. Dental implants have over a 95% 10-year success rate when you care for them properly. By maintaining your oral hygiene and visiting your dentist regularly, they can last for several decades. There is no set price tag for dental implants because the amount you pay is based on your individual treatment plan. There are several factors that influence the price, such as how many teeth are being replaced, if any additional procedures are needed, and your dental coverage. 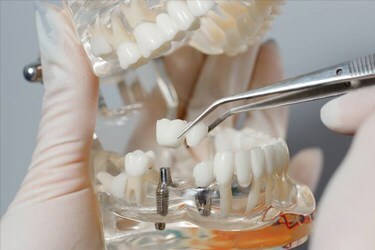 Can I get dental implants if I have gum disease? The long-term success of your smile relies on remaining infection-free. 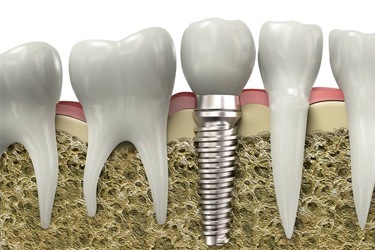 Therefore, you cannot get dental implants if you have active gum disease; however, that does not mean you are not a candidate for them in the future. Age is not necessarily a determining factor for dental implants. You must be finished growing, but if you have good oral and general health, you are never too old for them. Will my insurance pay for dental implants? Most insurance policies will not pay for the entire procedure, but your coverage may pay for certain aspects, like the sedation, tooth extractions, or restorations. We help you maximize the value of your dental policy to reduce the amount you need to pay out-of-pocket. It is best to avoid tobacco in any form if you have dental implants because it increases your risk of implant failure. If you are ready to complete your smile with dental implants, take the first step by contacting our office to schedule your consultation.